View basket “Rabbit Statue Driftwood Effect” has been added to your basket. 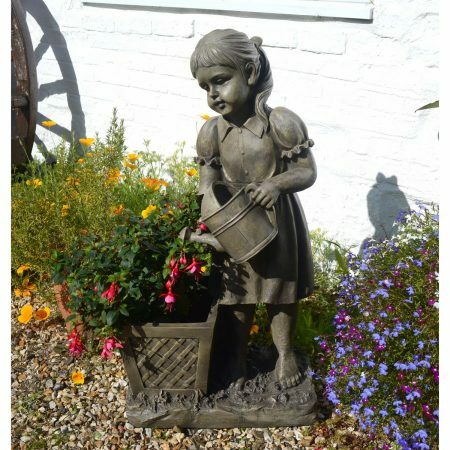 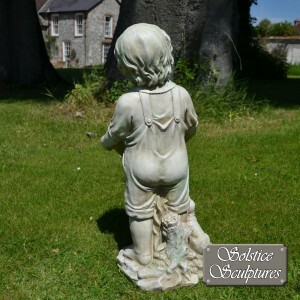 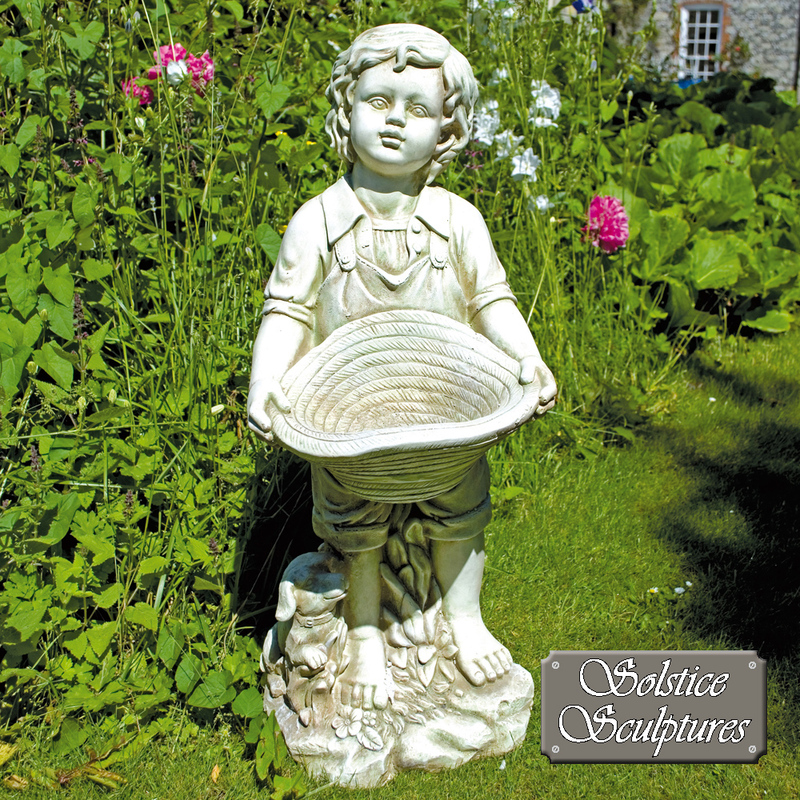 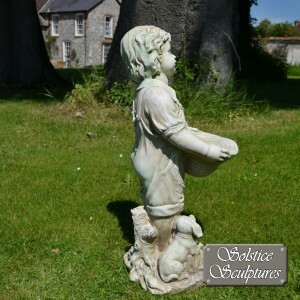 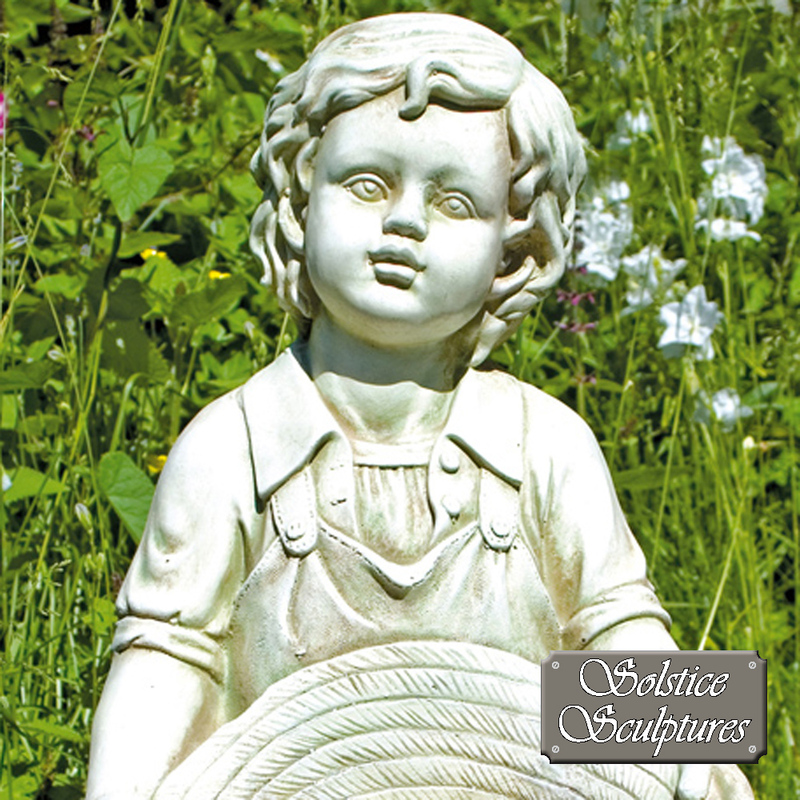 This delightful statue standing at 65cm is made entirely of poly-stone and is a great feature for the garden, finished in very high detail and with a weathered appearance. 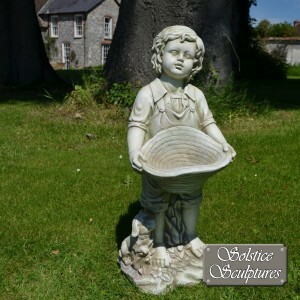 Jack the country boy with his puppy by his feet stands holding out a basket, which doubles as a bird bath or feeder. 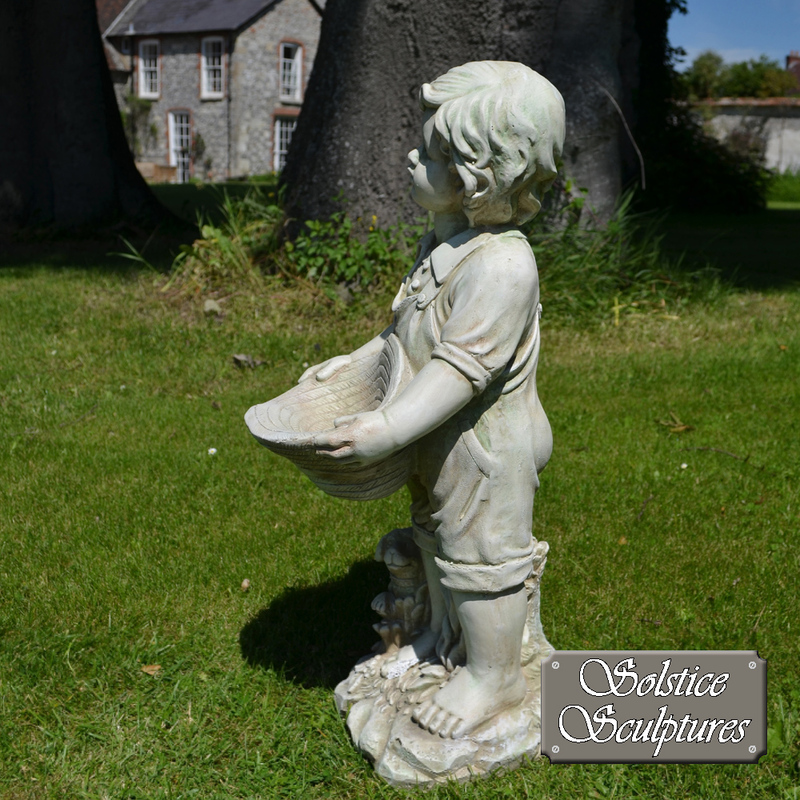 This intricately cast poly-resin statue is hand finished in an antique stone effect giving the appearance of aged natural stone. Poly-resin is a lighter weight alternative to stone or concrete and so the statue can easily be moved if needed. 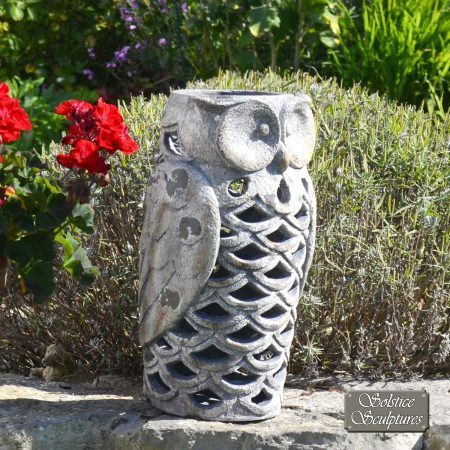 This can also be a great and unusual gift for any son to give to his mother on Mothers Day.